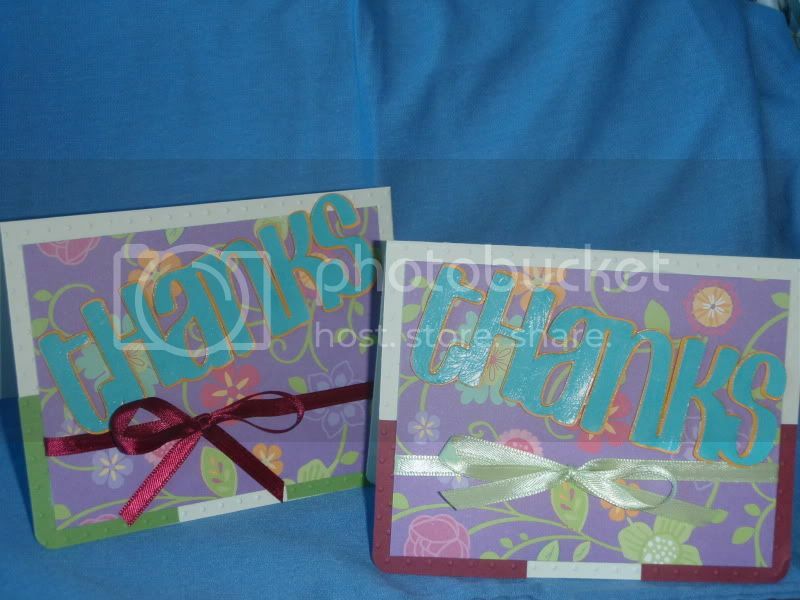 Similar to the card I made for my auntie. 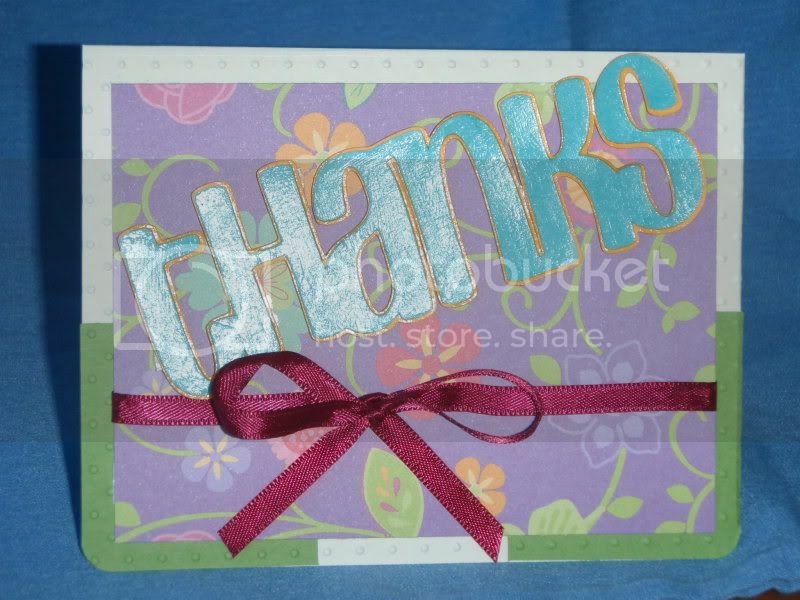 I used the Don Juan cartridge for the thanks cut at 1.75". 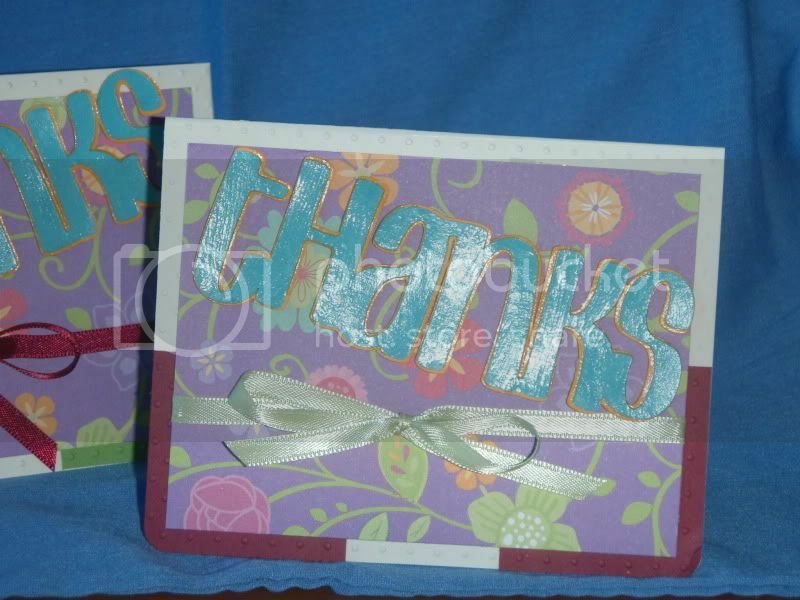 It's hard to tell, but I embossed using the swiss dots cuttlebug embossing folder the card after adhering the squares. I mod-podged the sentiment to give it a glossy sheen and mounted it with foam tape.